Who and What is Montessori? Maria Montessori was born in Italy in 1870 and developed an approach to learning which today we call The Montessori Method. 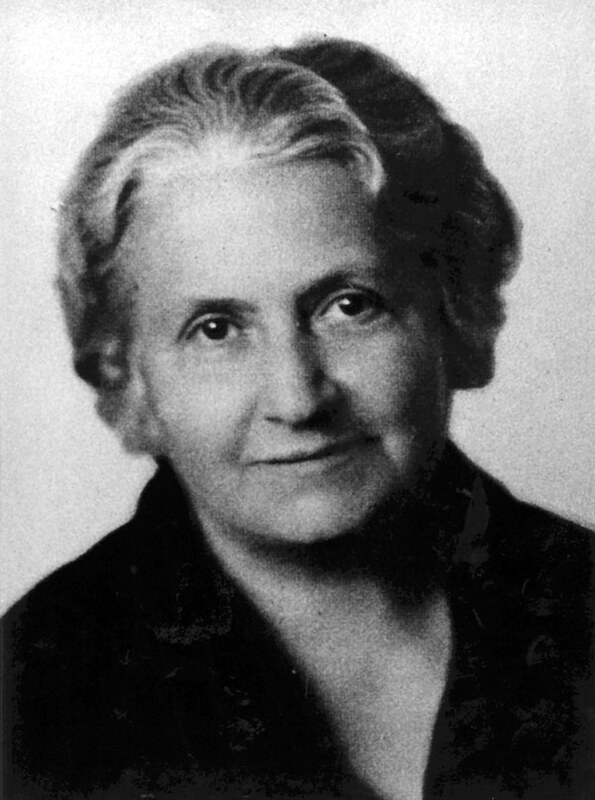 Dr Montessori was the first woman physician in Italy and, despite the difficulties of having to cope in a male environment, she became famous and respected by her contemporary colleagues in the area of medicine, psychology and education. 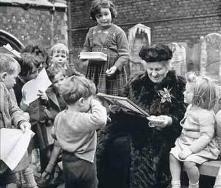 Maria Montessori spent her life fighting for the rights of children and women. Near the end of her life (1952) she was working with UNESCO to promote her self-directed education of students in secondary and university settings. Some of Dr Montessori’s scholars were Piaget, Edison and Einstein. The Method is now practiced in every continent, excluding Antarctica. Maria Montessori was a constructivist and she strongly believed that children are born with similar tendencies regardless of their culture or economic status. She also believed that children follow positive desires to construct their intellect and want to naturally acquire skills that lead to independence. Her philosophy of education belongs with developmentalists such as Piaget (1896-1980), Johann Bernard Basedow (1724-1790), Johann Heinrich Pestalozzi (1746-1827), Georg Wilhelm Friedrich Hegel (1770-1831), Friedrich Froebel (1782-1852), Herbert Spencer (1820-1903), William James (1842-1910) and G. Stanley Hall (1844-1924). Children are given a prepared environment, where didactic materials are displayed for educational purposes in a sequential arrangement. Children work with this equipment and construct learning through a manipulative, concrete process. The materials are scientifically designed to isolate and highlight specific concepts and are mostly self-correcting. The furniture is child size and completely functional. All items are real and beautiful and mostly made of natural materials. Maria Montessori believed that children learn to respect objects that are beautiful and fragile (glass, ceramic, pottery). Assessments are done through observation and through informal and formal instruments; traditional methods of measuring educational achievement (tests, grades) are not viewed as the most important tools, but are used to ensure adults have some forms of comparative testing for own learning. Competition is not discouraged if it is supportive of personal improvement and does not become an ‘us against them’ philosophy. Each classroom has students of at least three age groups and they belong to a stage of development (0-3, 3-6, 6-9 and 9-12). The classroom preparation reflects the needs of the specific group of students in that environment. Materials are placed accessibly on shelves in the different learning areas: Practical Life, Sensorial, Mathematics, Language and Cultural areas. All materials are complete and aesthetically pleasing. There is usually only one item of each piece of equipment, this develops respect and patience. Children must replace everything they use exactly as they find it and if something is incomplete, it is removed from the room. The process of learning in a Montessori class resembles a spiral: children approach content and skills when they are ready and revisit some of these at higher levels once they form early understandings. Each subject in the class can be presented as a distinct and separate subject; however, learning in a Montessori environment happens usually in an integrated manner. If a student is introduced to one of Dr. Montessori’s ‘Great Stories about plants’, they will inevitably work with mathematical concepts (measuring, analysing data, computing), they will adopt the language required to complete their study (genre, grammar, vocabulary), science will be included by conducting experiments and, according to the interest of the child, many other learning areas will be explored. Dr Montessori’s ultimate desire is that children respect everyone and everything and that this will lead to internal and external PEACE.